Al stated that DCA has made some major changes since 1979 when he first joined. He marched with forty and fifty year old men while today’s drum corps is a much younger activity starting with fourteen year olds. Yes, there are some older members but take the handful out and we could be a junior corps. When Al stopped marching in 1993, it was because they were he was asking him to march at 180(SPM) steps per minute for eight minutes of the show with half of the moves backwards he knew his marching days were over. The talent level is much higher in today’s drum corps where most of the members are music majors or music educators who learn a musical book that took us months to learn they now do it in a weekend. The passion is still there, but you don’t have the lifers like the old days. 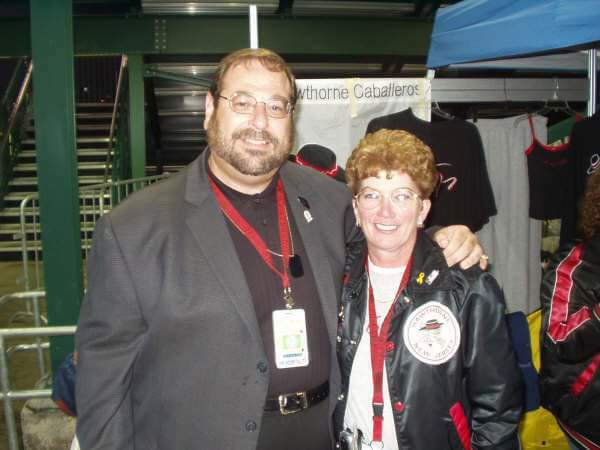 Al feels that drum corps has been great to his family we all have met our spouses in drum corps and learn life lessons and a work ethic that has made us who we are today. We have life long friends that would do anything for you and are there in good times and bad. You can reach out to them anytime as your support system along with your family. Al still does this activity because after fifty years, he still loves the activity as much now as he did since his first day playing a valve slide horn. Rickie Katz was also a member of the Wayne Monarch and Kings Regiment from 1967 until 1977 as a member of the color guard. She marched from 1982 until 1985 with the Caballeros when their son, Bill, was born. Rickie was one of the first women to join the corps and was their first uniform model for the 82 corps. She has been helping at the corps for years and ran the souvenir table for several years to stay involved with the corps. Rickie said that drum corps is a love-hate relationship. She really does love the activity but looks forward to the grand children to start spoiling. Josh Katz started his drum corps on tour when he was 5 months old. At five years age he playing the cymbals also with the Wayne Monarch and Kings Regiment from 1975 to 1979. Josh also marched in several junior corps including the Bayonne Bridgemen in 1984 and 1985. Josh then joined the Caballeros as a mellophone player in 1985 and is still an active playing member. Josh met his wife Valeri when she joined the corps in 1998. Valeri marched with the Crossmen in 1988 until 1990, with the Blue Devils in 1991, and the Caballeros from 1998 until the present as a front ensemble performer and staff member. Valeri stated that she would never have believed she would be doing drum corps this long but she did marry into the Katz family! Music is my life as an educator, not too many people can say they love their career and hobby. 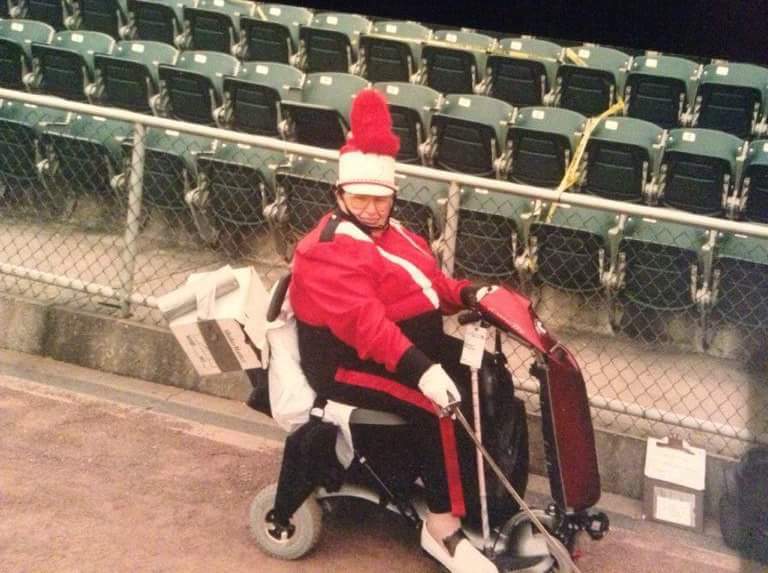 Joi-Robin Katz Small , Al’s sister, marched in the color guard of the Wayne Monarch and Kings Regiment from 1967 until 1977 as Color Guard Captain. Brother-in-law, Robert Small was a member of the Caballeros cymbal line from 1980 until 1982. Lana Rea Katz-Wood, Al’s sister, also marched with the Wayne Monarch and Kings Regiment from 1967 to 1977 as a member of the color guard. The Asbury Park Hurricanes in 1979, Bricktown,Chancellors/Windjammers in 1980, and the Archer-Epler Musketeers can be added to the corps she has marched with. Mother-in law, Dorothy Saunders served as chaperone, cook, and seamstress from 1967 until 1977 with the Wayne Monarch and Kings Regiment. Finally, the two people who started the Katz family tradition of drum corps. 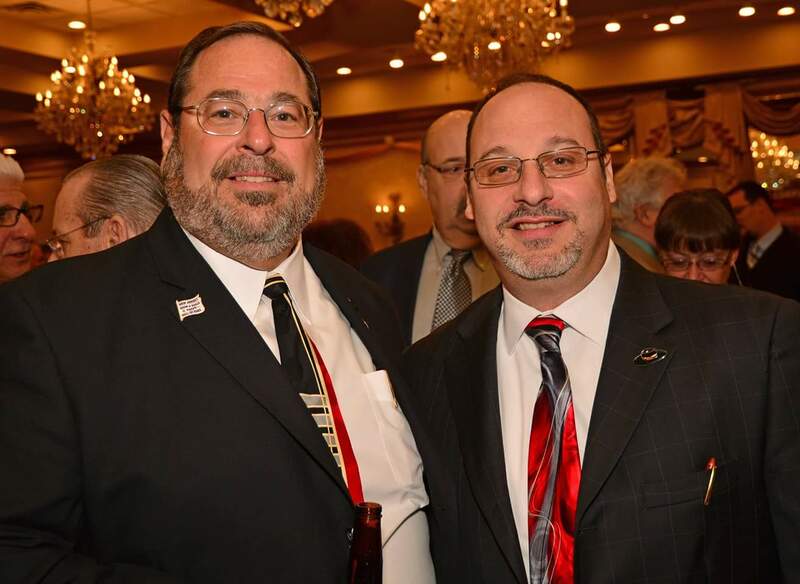 Larry Katz, Al’s father, served as Quartermaster and Business Manager for the Wayne Monarch and Kings Regiment from 1967 until 1979. Marge Katz, Al’s Mother better known as Mama Katz by her kids both young and old, served as chaperone, seamstress, and cook also for the Wayne Monarch and Kings Regiment. She was a member of the Caballero and Skyliner Alumni Chorus as well as the Skyliner Alumni Honor Guard. All this was done in forty years of drum corps service from 1967 until 2007! When we sum up the Katz family, there is a pattern here which is obvious. Yes, they mostly all were involved with the Wayne Monarch and Kings Regiment then into the Hawthorne Caballeros. They met their spouses through drum corps. But most importantly, they did it together as a family! Even more incredible is that the Katz family totals TWO HUNDRED AND FOURTY-FOUR YEARS of involvement in the drum corps activity!! !